For many car owners washing your car by hand can be almost mission impossible, but I must tell you that it is the best way to maintain a new car look. I’m not going to write about the difference between car washing by hand and a car wash. Instead of that we are going to give you some useful advice on what you should do and what you shouldn’t do while you are washing your car by hand. Always have separate sponges to clean wheels and tires. They can be coated with sand (hard particles) and other debris so if you use the same sponge in every area you could seriously damage your cars paintwork. Don’t wash your car when the vehicle is hot or even when it has been parked in direct sunlight for a long time. Never move the sponge in circles it can create swirl marks. Instead of this always move the sponge lengthwise across the bonnet and other body panels. Do not use a sponge that’s dropped on the ground without washing it carefully. If you don’t wash it and use sponge on your car with dirt particles it can seriously mark the paintwork on your car. Don’t use house hand soap, dishwashing detergent or glass cleaner on the paint. It’s was never made for use with the car’s paint and it could strip off protective wax. You should never wait for a layer of dirt to appear before deciding to wash your car. 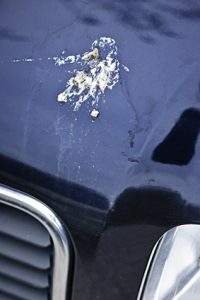 Bird droppings and dead bugs leach acids that will “eat “ into your car’s paint. So don’t leave it too long, it could really cause damage that will require serious repainting of the damaged areas or in some severe cases you must repaint it totally. Never use brillo pads or scourers to remove ground in dirt, this will certainly scratch your car and you’ll have to call us out to fix it. It’s recommended to wash off dead bugs, tree sap or bird droppings as soon as possible. So washing your car weekly can keep it in the best shape. Carry some car wipes with you in the car at all times, mainly for bird droppings. This can cause damage to your car very quickly so should be removed asap. Rinse all surfaces with water before you begin washing it. This trick will help to remove loose dirt that can cause seriously scratching. Always use car wash products that are recommended by experts. It’s better to buy a quality product once than suffer with “Chinese imports” and even damage your car with it. Use specially designed products to remove road tar, break dust and ground in dirt picked up from everyday driving. You should dry off your car with a genuine chamois leather, this will remove any small particles of dirt left over from the washing process. Finally get someone to help it’s always better to wash your car with someone else. I hope that these tips will help you to wash your car safely and save some money at the same time. 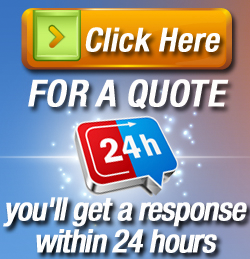 If you’d like even more information about washing your car, click here.